Heather is our patient care coordinator, insurance verification specialist and contact lens ordering guru. Knowledgeable and efficient, she takes generous care to make sure things are done right. She graduated from Pensacola Christian College with a degree in Medical Secretarial. She has over 10 years of experience as an administrative assistant and is certified in medical billing and coding. Heather joined the Premier family in October 2017, and quickly expanded her knowledge of the practice, while bringing new streamlined ideas to our team. 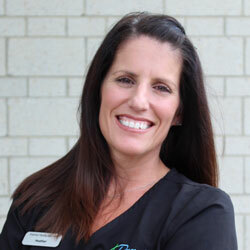 Heather is a native to Charlotte who enjoys spending time with her husband, children and dog. She is passionate about healthy living and is an active hiker. She also loves to teach Zumba at her church.